On the surface it may look like the Tax Cuts and Jobs Act is bad for real estate. The reduction in the deductibility of mortgage interest and the combined $10,000 cap on state and local tax (SALT) deductions for income, sales and property, along with the elimination of moving expense deductions would make a compelling argument. But after digging through the fine print, the outcome is that real estate may actually be the big winner. The mortgage deduction has been reduced to $750,000 dollars for new homeowners, but the deductibility of current mortgage debt up to $1 million is still protected. The only change was that technically under the old law one could also deduct $100,000 of home-equity debt. This is no longer allowed unless an equity loan is used to substantially improve the residence. However, let’s keep in mind that these mortgage provisions are due to sunset on Dec. 31, 2025. So, don’t run out and pay down your mortgage because you won’t be able to get the deductions back. These limits are short-lived. Let’s delve a little deeper. How did real estate come out alright? The deduction for mortgage interest on second homes survived although it initially appeared to be on the chopping block. The ability to rent a primary or secondary home for up to 14 days a year and not pay taxes on the income survived. A new deduction for pass-through entities benefits real estate, particularly real estate investment trusts. This will enable real estate partnerships and LLCs to get a new 20% deduction. Real estate agents–unlike doctors, lawyers, financial planners and professional athletes–are not considered a service industry profession and therefore are exempt from the limit in their pass-through deductions if their income is higher than $207,500 or $415,000 for a couple. Real estate professionals who work more than 750 hours a year can still deduct their real estate losses from ordinary income and lower income investors can still deduct passive income, such as real estate rentals. 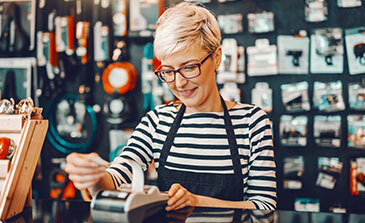 The bill doubles the Section 179 deduction for qualifying expenses, allowing business to annually deduct up to $1 million on certain types of property expenses. Land and property depreciation has been retained and the alternative depreciation system period for residential property has been shortened. This is a huge win for the industry because one of the key features to investing in real estate is depreciation because under U.S. accounting rules real estate loses value, even though it tends to rise in market value. Changes in the carried interest deduction–one must now hold assets for three years instead of only one–will benefit real estate funds substantially more than other types of managed funds. And finally, the lucrative 1031 tax free exchange rules that were on the initial chopping block were retained. Section 1031 allows real estate investors to defer capital gains taxes if they are using the money to purchase another property. These are just a few of the benefits that real estate has received and only scratches the surface of the plethora of real estate strategies that continue to survive. Not only should commercial real estate benefit, but residential real estate still maintains its luster.